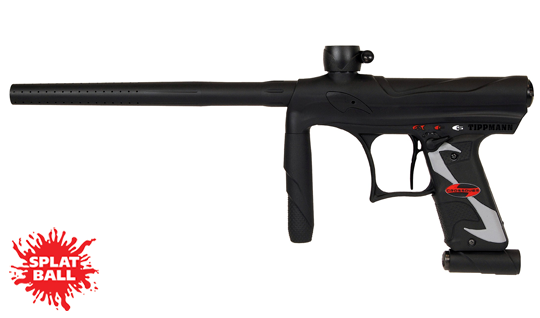 The Tippmann Crossover paintball gun is Tippmann’s first marker targeted to both the tournament and recreational market. The Crossover features a newly designed bolt system featuring FlexValve Technology, capable of operating in either an electronic or mechanical mode with a simple flip of a switch. The Crossover is a lightweight, high performance tournament-style paintball marker designed to handle the rigors of woodsball or any style of play. The Crossover features low pressure operation, aluminum receiver, internal gas line, clamping feedneck, 12” high performance barrel, double finger blade trigger, bottom regulator with ability to convert to a front regulator and, of course, Tippmann’s World Class 2-year Warranty.